Hey hot stuff, we have a shoe here for you to look at – our GABRIELLEH wedge flat sandals, Unique Simplistic Crisscross Straps Vamp with Dual Buckles. You simply cannot go wrong with shoes this hot! 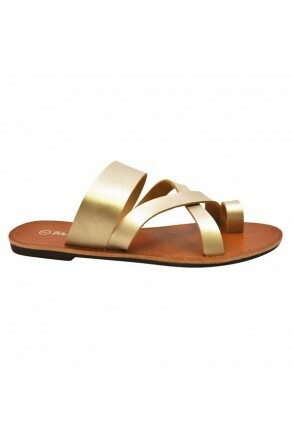 GABRIELLEH has a lightly padded insole for comfort. Available in Black, Cognac and White.